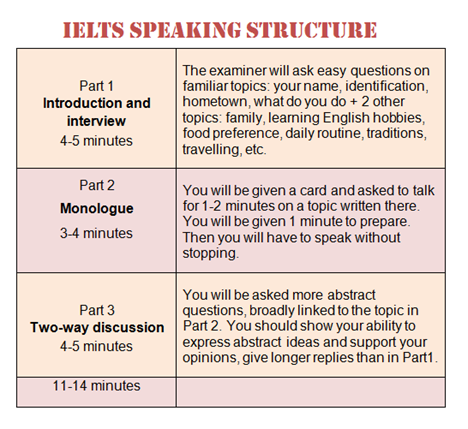 This lesson introduces you to the idea of using an IELTS mind map to help you with your speaking for part two. There are different methods and techniques you’ll come across for preparing for this part of the speaking test, so you really need to decide which way suits you best. Mind maps are a way tovisually organize information. A single idea is placed in the middle, with ideas associated with that word around the edge. 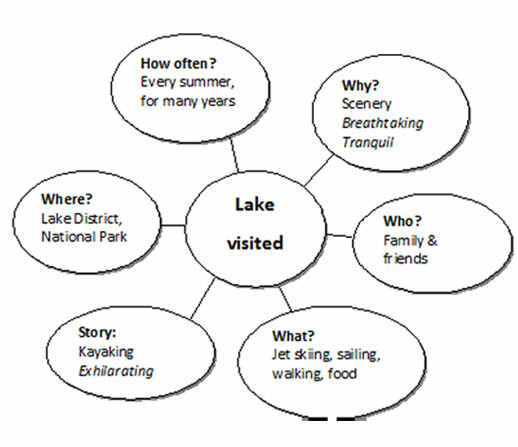 A mind map can be useful for IELTS speaking in part two because you can place the main topic from the cue card in the middle and then brainstorm ideas around it. 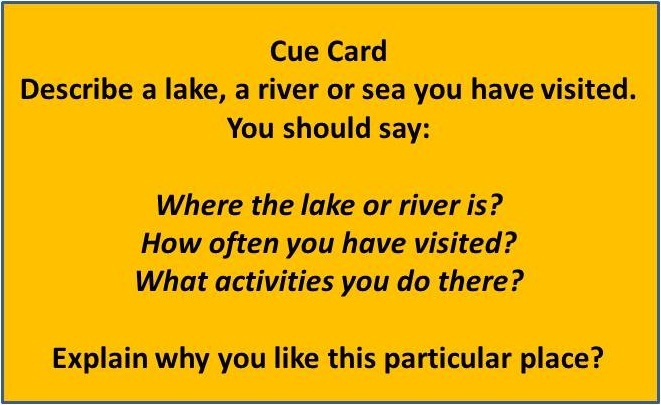 You can use other question words such as ‘why’, ‘when’, ‘who’, ‘where‘ etc to help you think of ideas. You can also add in any useful vocabulary that you think of. Look at this example cue card, and then look at the mind map that someone has done in order to answer the question. Its up to you in what order to answer the question. You don’t have to follow the card, but you should try to cover all the points that are on there and your talk must be organized and coherent. The mind map or following the card will help with this, plus giving cues to which section you are on. 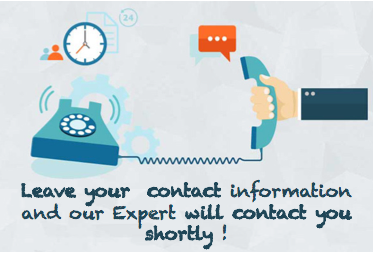 For example, “I’ve visited it many times because…” tells the examiner you are talking about the ‘How often‘ part. Here is a sample answer. Note how all the points are covered, plus some extra information that is not on the card but is on the mind map. I’m going to talk about a lake that I’ve visited. The lake is in the Lake District area which is in the North West of England. As you can guess by its name, it’s very famous for its many beautiful lakes. The area is also known as ‘The Lakes’ and it is a National Park. I’ve visited it many times because I live only a few hours from there. I usually go every summer, and I’ve been going for many years now – probably since about 1998. We used to go a lot in my summer holiday when I was at school. Now I’m working I still go, but I’ll go at weekends. I usually go with my family – that’s my two brothers and my Mum and Dad. Sometimes we might go with our cousins as well. I have also been with friends quite a few times. There are loads of thing to do there. At this lake we go to there are a lot of water sports and I really like those. There’s jet skiing, sailing and kayaking for example, but you don’t just have to do those things – there’s plenty to do even if you don’t like those kinds of activities. You can go walking around the lake or further out into the areas around the lake because there are many areas which are really beautiful. There are also some great places to eat good food. One of the best things I have done is a Kayaking trip. It wasn’t actually on the lake, but in a river close by. There are some white water rapids, so I went on those with a friend. We started it with a group of others at a calm part of the river, with a guide as well to make sure everyone was safe. Some parts then got quite rough with the water and strong currents. It was scary but really exhilarating as well. I’ll definitely try and go again one day. The reason why I like this place so much is that although there are lots of exciting activities that you can do, it’s also surrounded by lots of breathtaking scenery, with stunning views of the hills and rivers. So it’s still really tranquil and relaxing and a really good way to unwind if you have had a difficult week at work and just want to get away. So that’s the lake that I’ve visited and I’m sure I’ll continue to visit there in the future. 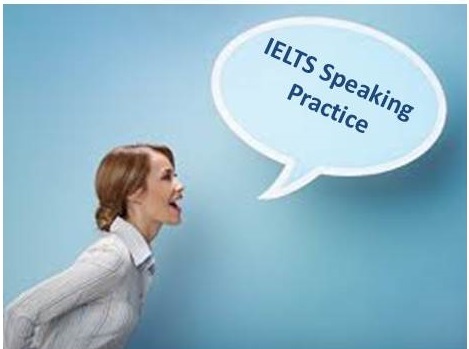 Learn more about IELTS Speaking Module and how to improve your speaking skills by joining our Live Virtual Classrooms.